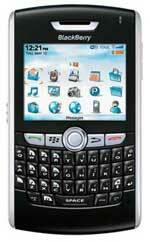 The Blackberry 8820 from Airtel, which comes at Rs 31,990, can be loaded with Airtel’s ‘Wayfinder’ application which uses MapMyIndia (MMI) maps. Now, the maps are a constant download, and unlike the Nokia N95, which catches common maps onto the onboard memory, the Berry uses the data connection to always download the map. The MMI maps, however, are a bit more detailed than the Navteq maps. We haven’t given the system a shakedown as yet, but the Nokia is a better device in simple feature-set terms. MMI also offers a standalone GPS navigator. This is available for Rs 21,000 but we would wait a while for GPS navigators to make it to a whole host of mobile devices. Plus, on high-end vehicles such as the BMW 5, 6 and 7-series, there is already talk of enabling the voice-navigation system that the cars come with. Middle-of-the-road cars are expected to start coming with sat-navigation options pretty soon (as early as next year), but phone makers like Nokia, RIM and HTC will kill the standalone navigator.